Jammer 25 shot barrage - Part of the 'Black Cat All-Stars' series. 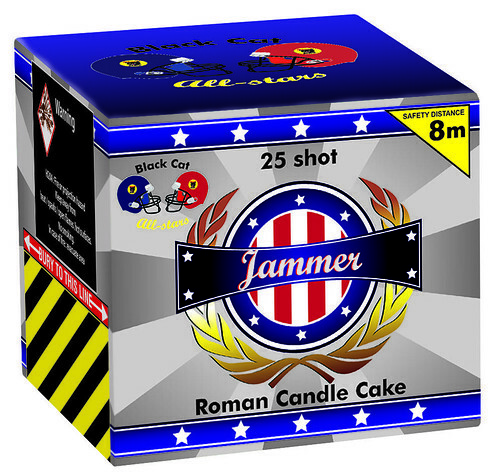 This 25 shot cake produces a single effect, ejecting red and blue stars with a white glitter effect stars. Awesome when fired in pairs or more.